Sometimes taking yourself to places unknown completely unearths and awakens a new spirit inside of you. This was this case when, with a little anxiety if I’m honest, I stepped on to a plane headed to South Africa. Sprawling with luscious landscape, surrounded by open waters, full of friendly faces and dotted with some of the best cuisines my taste buds have ever experienced — it’s like this place was awaiting our discovery. Sure we received our fair share of opinions prior to take off, from those who loved everything this country had to offer, and others who were slightly taken aback that we chose to holiday to such obscure, and potentially, unsafe places. The beautiful thing about traveling is that each place speaks in different ways to every person. The situations you’ve encountered, cultures you’ve visited, and appreciation for certain things, make every persons journey to any given place completely unique. As we were flying into the sunrise over Table Mountain I already had something welling up inside that assured me this place had something uniquely special to sprinkle into our lives — a feeling which proved ever so accurate under every new stone we turned over. The first thing that caught our eye on the arrival into the Mother City was the view of Table Mountain. It’s no surprise it’s been recently named as one of the new 7 wonders of the world. After spending a few days there we hopped in the car and drove to the Stellenbosch wine region where we were greeted with equally amazing, yet unique views. Rollings hills woven with deep valleys and row upon row of succulent grapes being birthed to create the pedigree of wines. 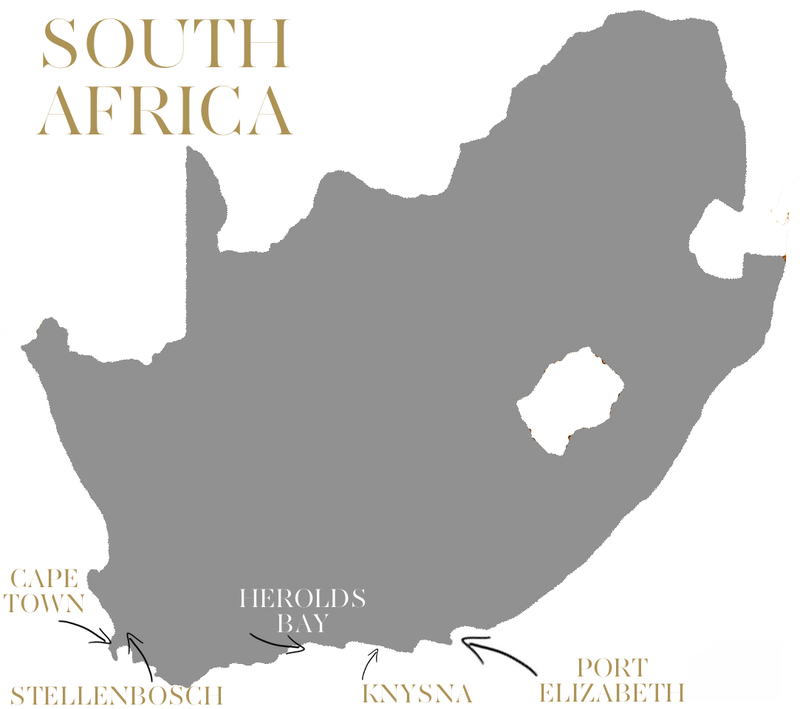 Next on the agenda was making our way to the seaside towns of Herolds Bay and Knysna, aka home of the best oysters of the Cape, some would argue, of the world. Pair that with champs by water and you’ve got perfection. 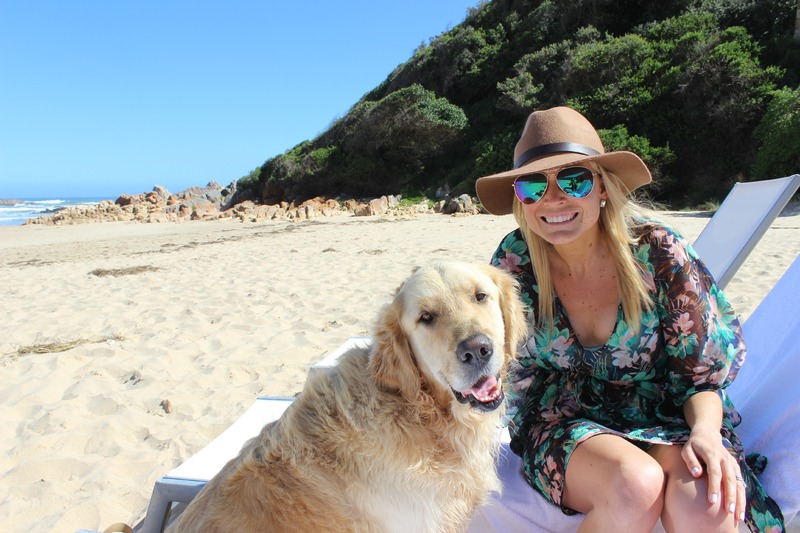 We ended our road trip after making the drive through the remaining portion of the Garden Route to our final stop, Port Elizabeth. From the start of Cape Town, down through the winding garden-laden roads, new adventures awaited us around nearly every corner. In this guide I’ll be doing my best to share some of the favourite stops, but it should be said that something this beautiful can’t ever really be bottled up through words intricately strung together, or even the best photograph. No. 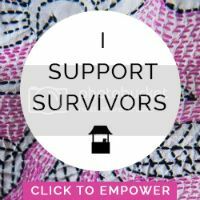 Something this special needs to be felt, breathed and discovered for yourself. Consider this a teaser to help convince you to purchase those tickets and get going, there’s a beautiful world awaiting you. With my right hand held high in allegiance, I can honestly say that I have never experienced a more fresh and flavourful cuisine. Between the catches of the day, coasts laced in oysters, and fresh game — we were in food heaven. The Bungalow – This stylish ocean-view restaurant in Cliffton provides a place to dine on the edge of the continent with an impeccable view. A place where you can watch the clouds billow over the mountains and then disappear when they meet the sea. That site, combined with the a unique blend of dishes, makes for the perfect lunch spot. 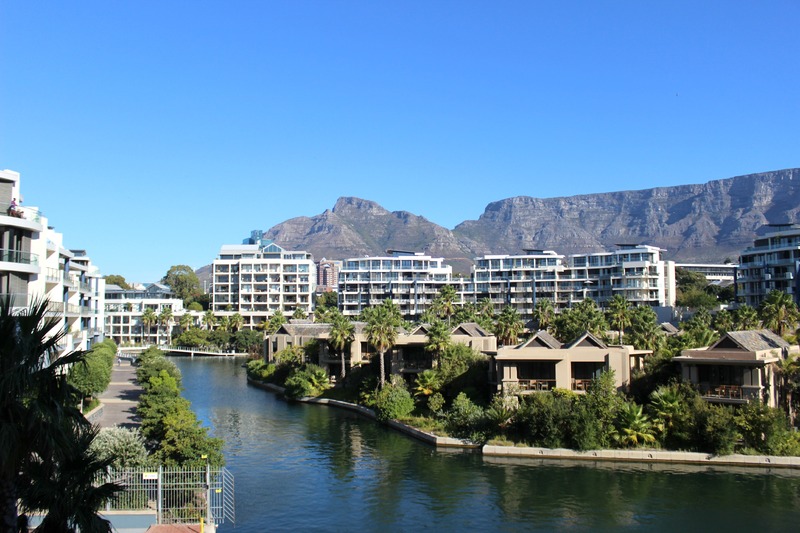 Quay 4 – Located on the picturesque V&A waterfront, this place is packed with lighter affairs, seafood and is considered one of the oldest restaurants on the harbour. You might even be joined by a seals frolicking in the water below. 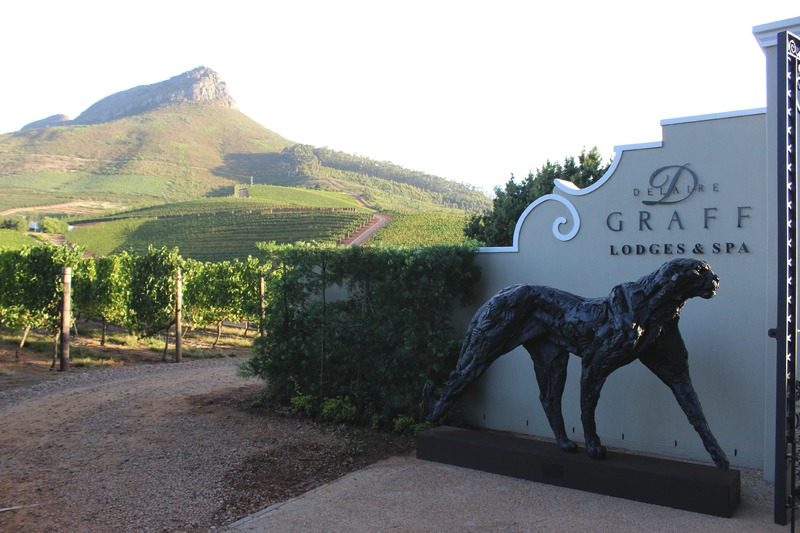 Delaire Graff Estate – This dining experience is one to savour. 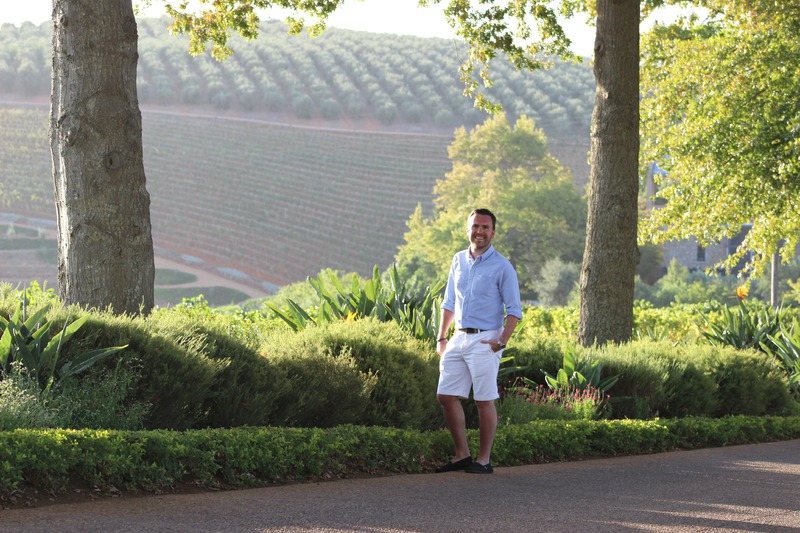 This vineyard is a favourite in Stellenbosch, which after seeing this place, is no surprise. The autumn hues made the scenery even more vibrant. Among meals prepared by some of the world’s top chefs, you also experience wine perfectly paired with each delicacy. With beautiful lodges to stay in, 2 restaurants to choose from, and a wonderful diamond shop to explore this place was a haven on the valley top. Our choice was the Indochine restaurant which provides a unique Asian flare to more contemporary dishes. 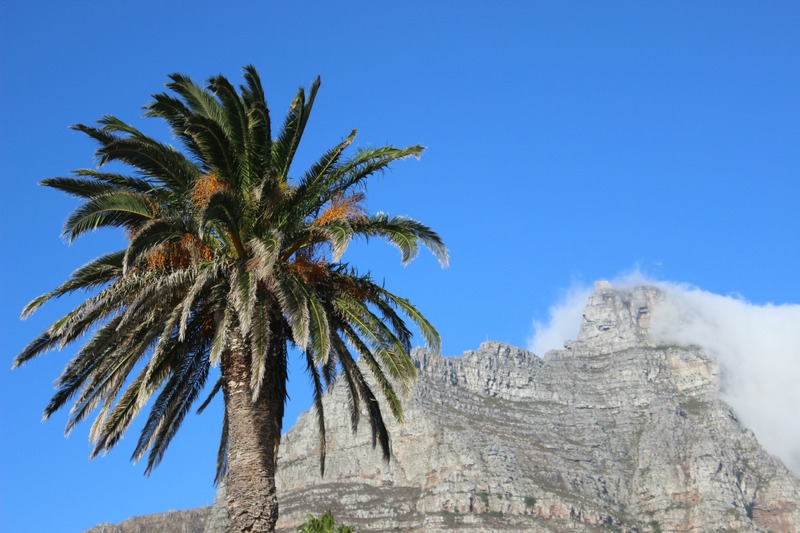 Cape Town – This city has something for both for the adventurer, and those that are in the mood for a relaxing holiday. The entire Western Cape is covered with things to see and places to explore. 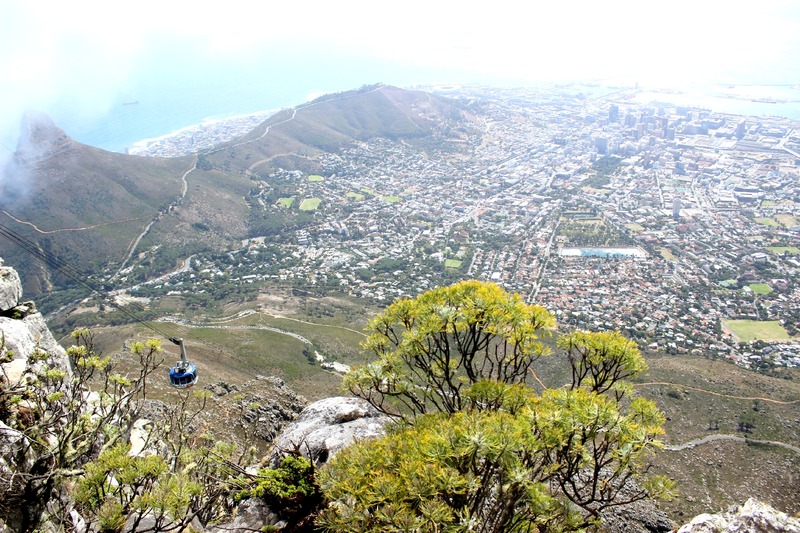 You can take a cable car ride up to Table Mountain which lends the most amazing bird’s-eye view of the city, or if you’re feeling a little more adventurous you can always hike your way to the top. 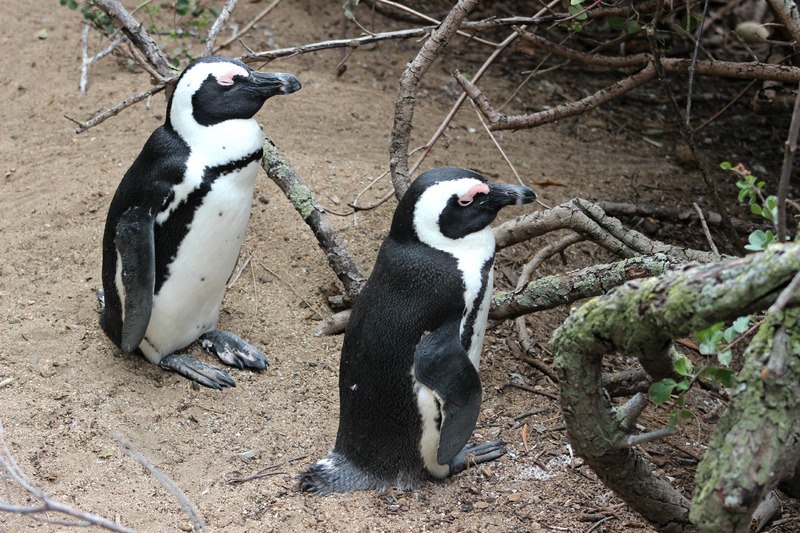 Take a drive down to Boulders Beach, the home of the African penguins who welcome you with their adorable waddle. The V&A Waterfront is also a beautiful place to have dinner, take a stroll or even do some shopping. If you’re looking for a nice, white sandy beach, then Camps Bay is the place for you, located just outside of Cape Town, this seaside suburb provides a great place to relax by the water. 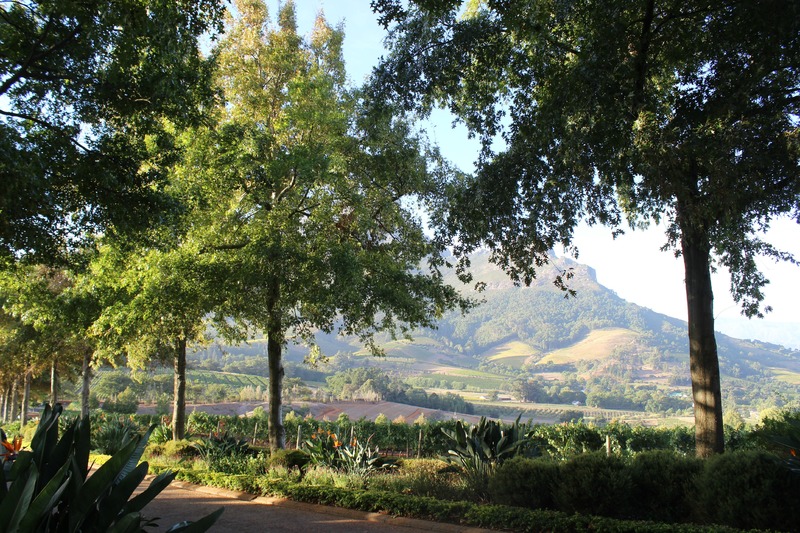 Stellenbosch – packed an exquisite landscape and equally idyllic vineyards and wineries. Exploring this region was good for the soul. 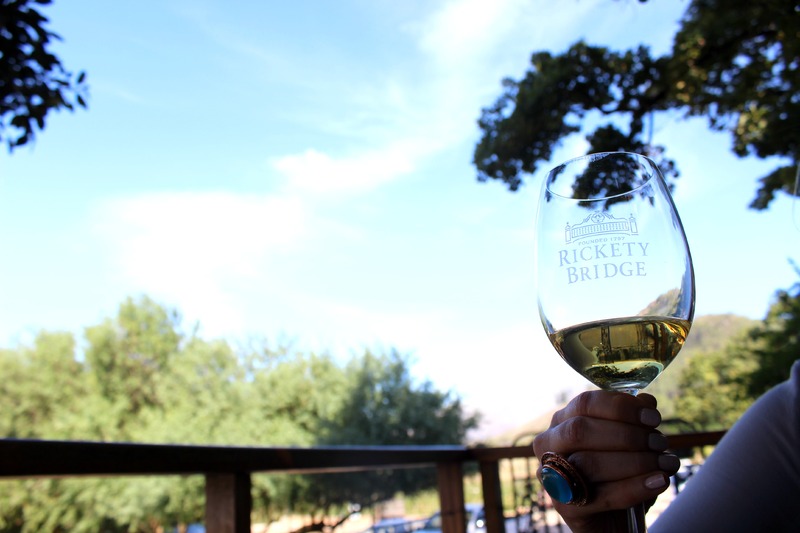 From wine tasting to food sampling and browsing the shops in the valley of Franschhoek — makes for a wonderful few days of relaxation. These are places where you’re greeted with warm hospitality, fine wines and world-class entrees — who can resist? Knysna and Herolds Bay were the perfect places to relax on a beach or by the pool and just chill out. You could also take yourself into the city of Knysna to explore The Heads, the views of two cliffs guarding the entrance of the lagoon from the ocean. In the winter months (summer in the UK) it’s also the perfect time for whale watching. Have you ever been to a place that has caught you by complete surprise? The feeling of having to catch your breath, pause and inhale all of the beauty surrounding you? That’s the feeling we got by visiting South Africa, a feeling that will forever hold a special place in our hearts. And this isn’t even the most amazing thing about it. Come back Monday to hear about the African Safari adventure.